Early-stage medical device developer Epitomee Medical said today that it raised $8 million in a new round of equity financing to support its novel Epitomee Capsule “shapeshifting” pill intended to prevent diabetes and promote weight loss. The Israel-based company said that its Epitomee Capsule contains a shape-shifting scaffold that, after it is ingested, helps the body have an early sensation of fullness and prolonged gastric emptying through direct mechanosensory stimulation. The pills are designed to be taken twice a day to lower caloric intake and promote weight loss, Epitomee Medical said. “The Epitomee solution is a novel practical approach in the fight against the global obesity epidemic. The combination of a simple, self-administered capsule and a high degree of safety and effectiveness makes it an optimal solution to this epidemic. The new partnership and this financing provide Epitomee with the resources to complete its next phase clinical trial and reach a significant value inflection point,” co-founder & chair Dr. Shimon Eckhouse said in a prepared statement. Data from an initial clinical study of the capsule indicated that the device met its endpoints and showed weight loss and glycemic control improvement, as well as ameliorated blood pressure levels and no safety concerns within 12 weeks of treatment. “The Epitomee Capsule has the potential to be the first-line, drug-free treatment for overweight, prediabetic, and moderately obese people. We are excited that it is well received, and that patients and physicians see excellent and consistent results in our clinical work. With the current financing, we can advance the clinical program and bring the company’s solutions closer to the millions of patients in need,” CEO Dr. Dan Hashimshony said in a press release. Johnson & Johnson (NYSE:JNJ) subsidiary Ethicon touted a study showing that the Linx device it acquired two years ago was cheaper than laparoscopic Nissen fundoplication in treating gastrointestinal reflux disease. Shoreview, Minn.-based Torax Medical makes the Linx device, an implant of interlinked titanium beads with magnetic cores designed to augment the esophageal sphincter to prevent reflux in GERD patients. Ethicon paid an unspecified amount for Torax in March 2017. Presented last week at the annual meeting of the Society of American Gastrointestinal & Endoscopic Surgeons in Baltimore, the study was funded by Ethicon and Highmark Health’s Vital incubator. It compared total procedural cost and disease-related and overall medical claim costs 12 months before and 12 months after 180 Linx patients and 1,130 LNF patients at Highmark’s Allegheny Health Network in Pennsylvania. Laparoscopic Nissen fundoplication wraps a portion of the upper stomach around the lower esophagus to prevent reflux. The mean per-member-per-month reimbursement claims for upper GI disease one year after Linx dropped 66% percent to $104 and 46% for LNF, according to the study. Overall PMPM claims fell 10.7% for Linx patients and 1.4% for LNF patients; reimbursement for proton pump inhibitors and GERD acid suppression drugs fell 95% after Linx and 90% after LNF. The average Linx procedure was more expensive, costing $14,379 compared with $13,691 for LNF. The difference is offset by lower costs a year out, the researchers said. The Carlsbad, Calif.-based company, which makes a gas-filled balloon designed to treat obesity, said it hopes to cut its expenses by 35% during the second quarter after one-time charges of $1 million. The move also involves elimination of 49 direct field sales and headquarters emnployees, Obalon said. The company employed 100 full-time workers as of Dec. 31, 2019, according to a regulatory filing. Apollo Endosurgery (NSDQ:APEN) has reported key data from 1,000 patients who underwent endoscopic gastroplasty using the company’s OverStitch device. 13 of 17 cases of type 2 diabetes. All 28 cases of hypertension. 18 of 32 cases of dyslipidemia. The post Apollo Endosurgery touts results of stomach-stapling study appeared first on MassDevice. GI Dynamics (ASX:GID) said yesterday it won Institutional Review Board approval to launch a pivotal trial of its EndoBarrier device exploring its ability to treat diabetes and obesity. In the new trial, patients will be monitored out to two years while investigators monitor reductions in HbA1c at one year as a primary endpoint. In the initial stage, GI Dynamics will look to enroll up to 67 subjects, including 50 to be implanted with the EndoBarrier and 17 for the control group. Following an interim safety report to the FDA, the company will apply to expand the enrollment to a total of 240 patients. “When we announced that the FDA approved our Investigational Device Exemption for the pivotal trial of EndoBarrier, the approval was conditional upon IRB approval. This IRB approval now satisfies that condition. In parallel, we continue to push forward with the clinical study sites that will be part of the 18-1 study and we anticipate being in a position to announce these clinical sites shortly,” prez & CEO Scott Schorer said in a press release. The approval, which follows FDA approval it won last August, is a boon for the company, which has faced a number of hurdles with its device over the past few years, including shutting down an initial FDA-approved study, being pulled off the shelves in Australia and losing its CE Mark approval in the European Union. The post GI Dynamics wins IRB approval for pivotal U.S. EndoBarrier trial appeared first on MassDevice. Obalon Therapeutics (NSDQ:OBLN) shares took a big hit yesterday and continued their slide today after the weight loss balloon maker said it expected to hit the low end of its 2018 sales guidance. Carlsbad, Calif.-based Obalon said last year’s revenues are headed toward the low end of its prior outlook for $9.0 million to $9.9 million. The failure of a deal with the Sono Bello chain of cosmetic procedure outlets, renewed during the second quarter last year, was cited for the new guidance. The lower sales outlook means lower gross margins, which could accelerate when Obalon launches the latest iteration of its balloon navigation system during the first quarter this year, according to a regulatory filing. “While we have several initiatives intended to reduce the manufacturing costs associated with the navigation system and help improve gross margin, we expect we may experience some decline in our gross margin upon its initial launch,” the company said. That’s because Obalon has never made the navigation console and accompanying Touch inflation dispenser, both more complex than their predecessors, at scale. The navigation console is also priced lower in a bid to increase adoption, further affecting gross margin potential, according to the filing. The upside is that the newer Obalon balloons can be implanted without X-ray guidance, the company said. “We expect commercial launch will initially focus on targeting potential new accounts where X-ray was a barrier to adoption and existing customers whom we believe could benefit by using navigation to drive higher treatment volumes and improved economics. We intend to initially launch with the same number of territories and field structure as we have in place today. Additionally, we initially plan to continue supplying both our current products and the new navigation products, but to transition exclusively to navigation over time,” Obalon said. OBLN shares closed down -15.7% at $1.94 apiece yesterday and were off a further -1.6% today, at $1.91 each, in early-afternoon trading. The post Obalon plunges on trimmed 2018 sales guidance appeared first on MassDevice. Obalon Therapeutics (NSDQ:OBLN) said this week that it inked two financing deals that could provide the company with up to $30 million in capital. The San Diego, Calif.-based company sells the only FDA-approved, swallowable intragastric balloon system for the treatment of obesity. In one deal, Obalon entered a common stock purchase agreement with Chicago-based institutional investor Lincoln Park Capital Fund for up to $20 million. According to the terms of the deal, Obalon will have the right to sell up to $20 million worth of shares to LPC over a 36-month period. The company also entered into an at-the-market equity offering sales deal with Canaccord Genuity. According to the terms of the agreement, Obalon can issue common shares at prevailing market prices with an aggregate gross sales amount of up to $10 million. The company said it plans to use any net proceeds it gets from either deal for general corporate purposes including clinical studies, R&D costs or the repayment of debt. Also this month, Obalon won FDA clearance for its navigation system intended for use in placing the company’s intragastric balloon. The Obalon Navigation system uses MRI during placement and provides a real-time image of the balloon. The post Obalon lands $30m in capital from new deals appeared first on MassDevice. Obalon Therapeutics (NSDQ:OBLN) said today that it won FDA clearance for its Obalon Navigation system intended for use in placing the company’s Obalon Balloon system. The newly cleared Obalon Navigation system uses magnetic resonance imaging during placement and displays a real-time image of the balloon, the San Diego-based company said. The system is intended for use alongside the automated Touch Inflation Dispenser to improve placement procedures. “We participated in the clinical trial for the Obalon Navigation system with the Touch Inflation Dispenser and were very impressed with the new technology to make placement of the Obalon Balloon more reliable, safer and easier. We especially appreciated the Obalon Navigation System’s dynamic 3D display during balloon placement, as opposed to the static 2D x-ray images we currently use. 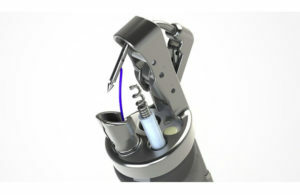 The automated Touch Inflation Dispenser eliminates many of the connections and valves from prior dispenser, which should reduce the potential for error during balloon placement and inflation,” Dr. Mickey Seger of San Antonio’s Texas Bariatric Medical Institute said in a prepared statement. Obalon said it expects to launch the newly cleared systems during the first quarter of next year. “We’re very pleased about the approval of the Obalon Navigation system which is intended to make placement of the Obalon Balloon more reliable, more convenient and more accessible to physician providers and patients by eliminating the costs and logistics related to acquiring x-ray. I’d like to recognize the FDA for their timely review of the Obalon Navigation system, as well as the Touch Inflation Dispenser which was previously approved in the third quarter of 2018. We believe Navigation and Touch provide another step forward in helping physicians and patients battle the obesity epidemic,” prez & CEO Kelly Huang said in a press release. In September, Obalon said that it won approval from the FDA for a premarket approval supplement application for its Obalon Touch inflation system. The post Obalon wins FDA nod for Obalon Nav system appeared first on MassDevice.